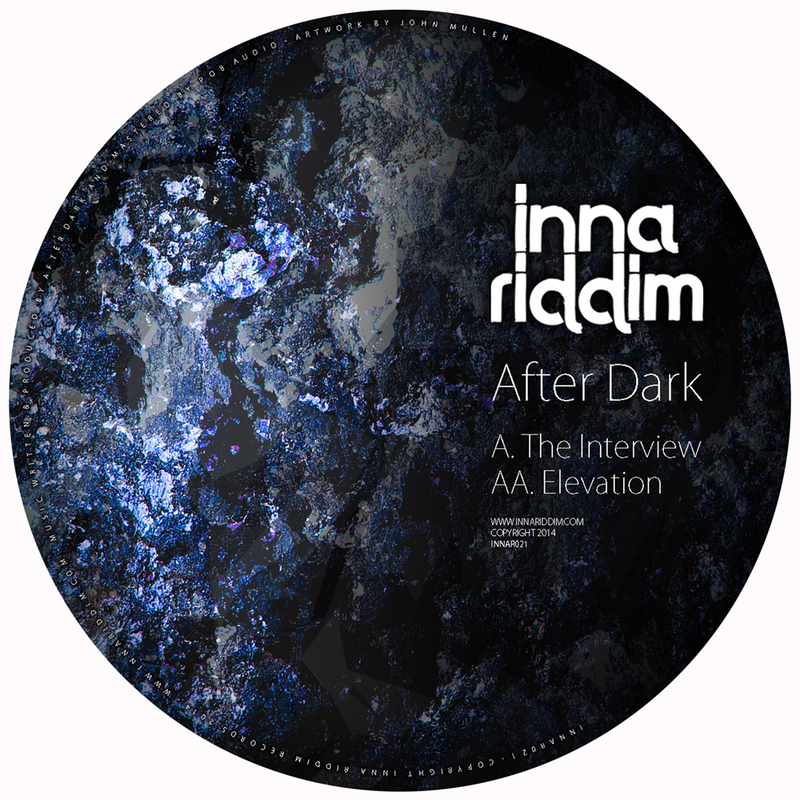 Next up on Inna Riddim and as our first release of 2014, we welcome back After Dark with this powerful double-pack of somewhat experimental tracks. On ‘The Interview’, lush atmospherics, undulating bongos and a warm jazz organ draw the listener into a bucolic idyll: shadows from a camp fire dance on the mosquito nets, sangria glasses clink while a guitar plucks a lilting melody that drifts over the forest scene. The drums, an understated bustle of shuffling, fuzzy kicks and open hi hats, provide a bustling, funky energy that supports but never overpowers the exquisite vibe of the track. Summer evening tropical reverie. ‘Elevation’ has a much steelier sound: dry nylon strings pluck out a serene refrain in counterpoint to a rasping delayed synth with the texture of wire wool. A descending succession of bass stabs and a skittering, spacious 4×4 beat seems at first to suggest bassline house, but rowdy, syncopated snares bring us back down south immediately afterwards. It’s a brawling, rambunctious beat that – characteristically for After Dark – gets equal time in the spotlight with the dramatic melodic elements. A bruiser with soul.